Visualisation experts, Barco and projectiondesign will be showcasing the breadth of their combined projection product offering at the European Attractions Expo 2013 (EAS 2013) through the demonstration of real-world examples. Maria Dahl Aagaard, product marketing manager at projectiondesign says: “Supplying some of the most prestigious and innovative theme park and visitor attractions operating today, the combined Barco and projectiondesign product lines are designed for high-performance imaging, outstanding colour reproduction, long-term use, reliability and rapid return on investment for the operator as well as an engaging experience for the visitor. Holovis MotionDome is an immersive and interactive platform ideal for creating gaming or dark ride transformative experiences in 2D or 3D. The solution is scalable from small to large full dome theatres, completed with ride motion technology. The MotionDome solution combines unrivalled attraction design with visual performance and control. 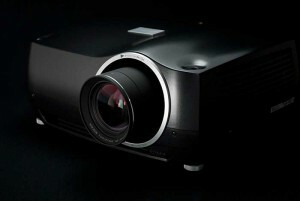 Four F35 AS3D active stereoscopic 3D DLP projectors are seamlessly edge blended on the Holovis MotionDome curved screen display, positioned above the participant’s eye line to create the completely immersive experience, integrated with Holovis motion seat technology and interactive gaming devices. This is all driven by In-Mo a proprietary Holovis technology that integrates real-time interactive game technology into the dome of choice. A first of its kind in Dome Theatre attractions, Stuart Hetherington, CEO at Holovis says: “We are delighted to be bringing our extensive innovation-led expertise in high-end immersive and interactive experience design to EAS with our MotionDome technology. We are already working with a range of first to market clients including FECs, property asset developers and major theme park operators on deploying these high impact, cost effective visitor attractions. Barco’s OL-521 rear-projection video wall display will be shown for the first time at EAS 2013. The system uses a modular design ensuring that video cubes can be stacked to practically any size or position. Images are created using reliable LED illumination that brings several operational benefits to the visitor attractions and the leisure space including a small footprint, front-panel control and access, fail-safe and cool operation, wide viewing angle and reliable DLP imaging technology. Using LED illumination means that the visual system operates up to 80,000 hours life-time in economy mode and has no moving parts. 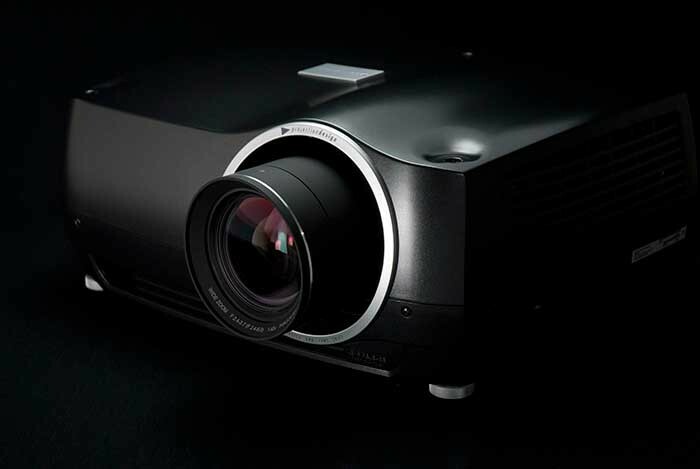 Calibration is achieved using Barco’s proprietary Sense6 calibration software. 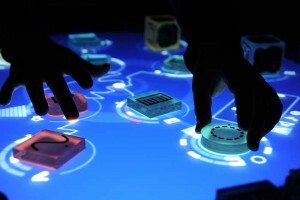 The Reactable Experience ensures that EAS visitors will see, touch and hear sound! Aimed at captivating, engaging and enthralling EAS visitors, on the Barco and projectiondesign stand will be live video and music performances using interactive table technology from Reactable. projectiondesign F22 projectors are installed inside the table with live HD camera feeds of video jockeys making music being displayed on the big screen using F32 projectors. EAS takes place between 18-20 September 2013 at the Paris Expo, Port de Versailles in Paris, France.